Hands down the BEST cycling cleaning and lubrication products on the market today. If you value your bicycle and all of its components, then you owe it to yourself to get some MOTOREX products today! About Motorex Cycling: To keep riding fun, MOTOREX has systematically improved the products in its MOTOREX BIKE LINE. This complete assortment of simple and effective lubricants and care products sets new standards. Through close collaboration with leading bicycle and component manufacturers, racing teams and specialized dealers around the world, MOTOREX has been able to come up with high-tech products that meet a wide range of requirements. 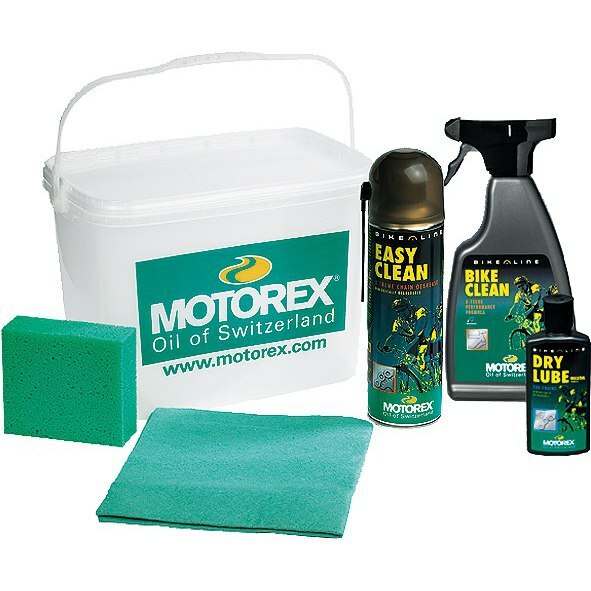 Moreover, MOTOREX has been known for many years for its commitment to protecting the environment. Wherever the technical parameters permit, BIKE LINE uses biodegradable products capable of easily handling even the most extreme conditions. Cycling is more fun when your bike is well cared for – MOTOREX BIKE LINE makes it possible!